As major music lovers at Remix, we like to keep our finger on the pulse with what’s hot when it comes to music technology. Or perhaps we should say we like to keep our ‘ears on the beat’ with what’s hot! Our publisher is a DJ, after all. Our favourite gadget at the moment is the revolutionary new Tracks AIR wireless headphones, developed by SOL REPUBLIC and Motorola. These babies are the definition of mobile music… Tracks AIR headphones combine super sound quality, a 45 metre wireless range, unique dual-device connectivity and a 15-hour battery life. The remarkable battery life ensures you’ll never miss a beat and the unmatched wireless range gives the freedom to move around without messy wires. Getting attacked by the wires of your speakers is a thing of the past. Delivering crystal clear listening experience, Tracks AIR pumps out solid bass, clean mids and vocals, as well as extended highs, so you can listen to music, exactly how it is intended to be heard by the artist. Like all SOL REPUBLIC headphones, Tracks AIR feature interchangeable headphones that can be swapped to suit your own personal style. The awesome new Tracks AIR PowerTracks bands will be available in multiple colours including Paper White, Gunmetal, Horizon Blue and Fluoro Red. If you’re a music geek, you’re probably having a major excitement overload right now. Well, what’s better, is that we’ve got a pair of Tracks AIR headphones to give away. Simply comment your favourite song right now in the Facebook field below to go in the draw to win. We promise we won't judge any guilty pleasure tunes! Entries close Wednesday 16th July and will be announced on our Facebook page. 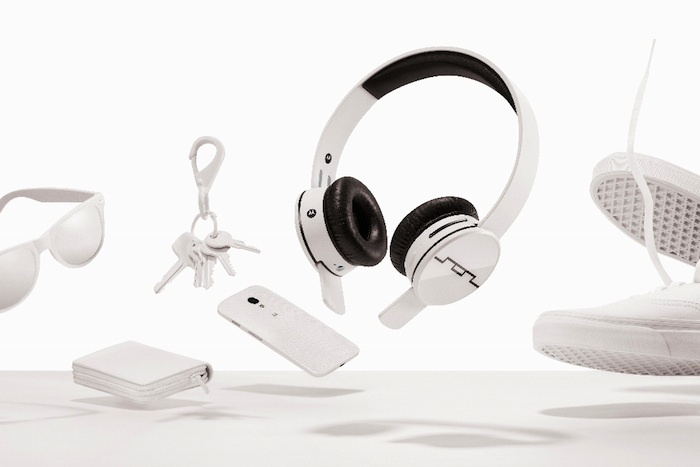 And click here to get yourself some Tracks AIR headphones and other SOL Republic goodies. Words by Isabella Bernal. A beer and bacon festival is coming to Auckland!